Allergy injections along with food desensitisation treatment could help provide relief to children who have multiple food allergies a study has found. Studying 48 US children who have multiple food allergies, researchers administered the children antibody shots in combination with gradual exposure to the foods they are allergic to. The result of the study found that the treatment resulted in more effective allergy relief than a placebo. Historically, there has been limited research into food desensitisation due to safety concerns. Researchers said the administrated drug, omlizumb, may work by moderating the immune system’s response to allergy foods, allowing those with allergies to start food desensitisation. 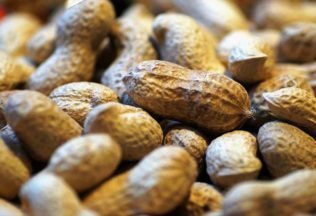 “While our results are promising, they are preliminary and suggest that children with multiple food allergies might one day be safely desensitised to their trigger foods using this treatment combination,” said researcher, Dr Sharon Chinthrajah. Further research is still underway. Sugar down, but will 2018 be the year dairy farmers bounce back? The dairy cattle farming industry should bounce back tin 2018 says market research firm IBISWorld.